Made in Japan, the Miniature Crystal Japanese Lucky Frog is a cute little crystal lucky charm in the shape of a green frog made from with gold specks on his back and big white eyes. These Japanese lucky charms are designed to be kept in your wallet or purse to help safeguard your money! Frogs are also one of the most popular lucky charms in Japan because frog in Japanese is kaeru which means to return and so it is believed that frogs are lucky because they will return your money to you! 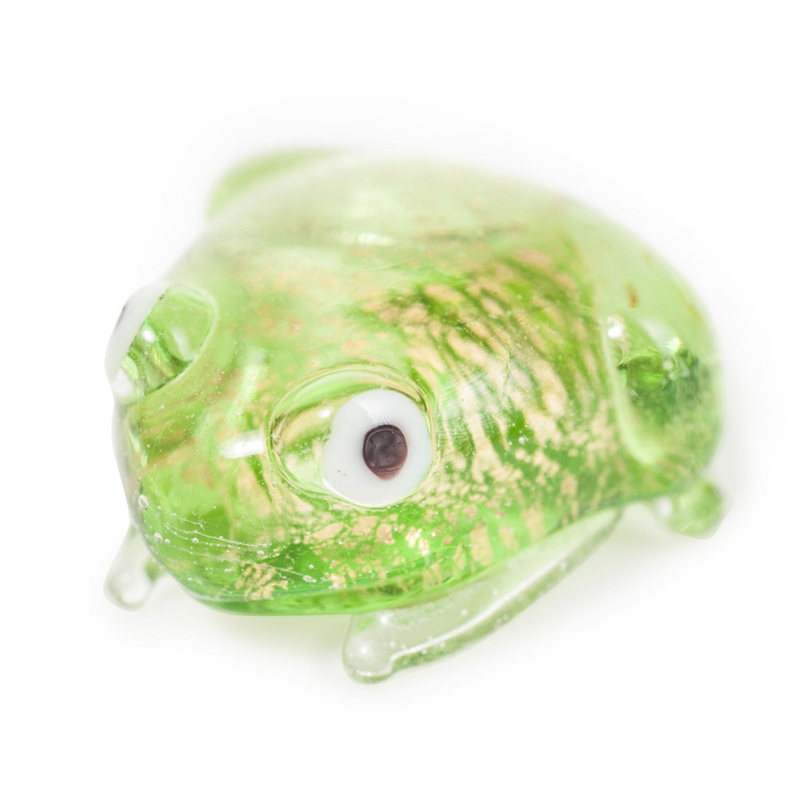 Buy your Miniature Crystal Japanese Lucky Frog online and have it gift wrapped free of charge, or visit us at our showroom for this and many more cute little Japanese lucky charms! I have bought both the frog and owl crystal charms. They are adorable. Thank you Japanese Shop for the cute packaging. I have been buying these good luck charms for my kids to give to their teachers as thankyou gifts. They are lovely and small enough (approx 15mm) to fit into your purse or wallet. This year I got a few extra and might just keep one for myself too! The frog is my favourite, though all of the crystal animals are cute. Thank you , I received my parcel today (beautifully wrapped) and I am delighted with the contents.